Hot Sale: Sam Edelman on Hautelook! I’m so excited to post this! 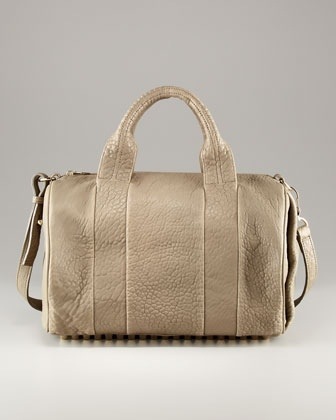 Sam Edelman will be on sale on Hautelook tomorrow April 2nd!!!! If you haven’t signed up yet, sign up here to check out the event and set your alarm for 8AM Pacific Time! Items always sell out fast so make sure you log on at 8AM PST sharp to snag a pair of Sam Edelman shoes! 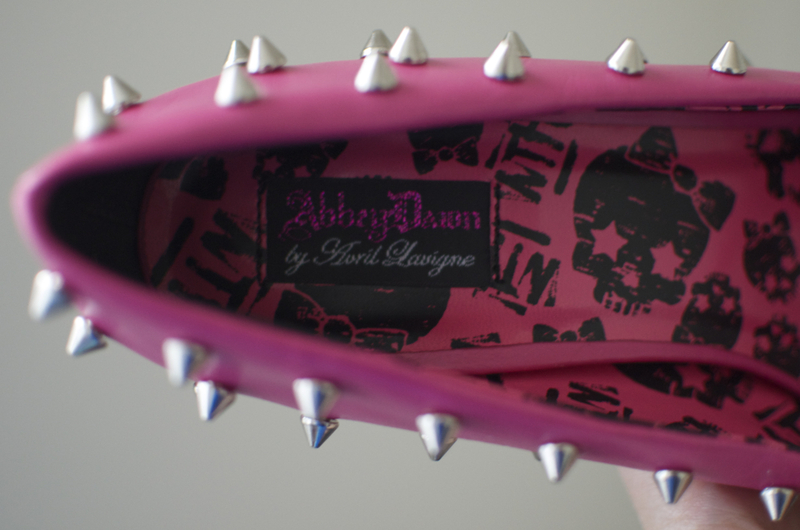 When JustFab came out with Abbey Dawn’s Spring 2012 line, I ordered the WTH Platform Pumps in pink. I’ve been looking for a pink studded pump to match my ShoeDazzle Kaplan bag (which is a Channel 2.55 dupe) and when I saw the WTH pumps, I thought perfect! The shoes came in today and I couldn’t be more happier. The color matches my Kaplan bag and the pumps are really well made and comfy. I don’t usually wear very high heels but the WTH pumps didn’t feel high at all. The heel measures 4 1/2 inches while the platform is 1/2 inch. For the price of $39.95, I think they are a bargain considering they retail for $65.00. 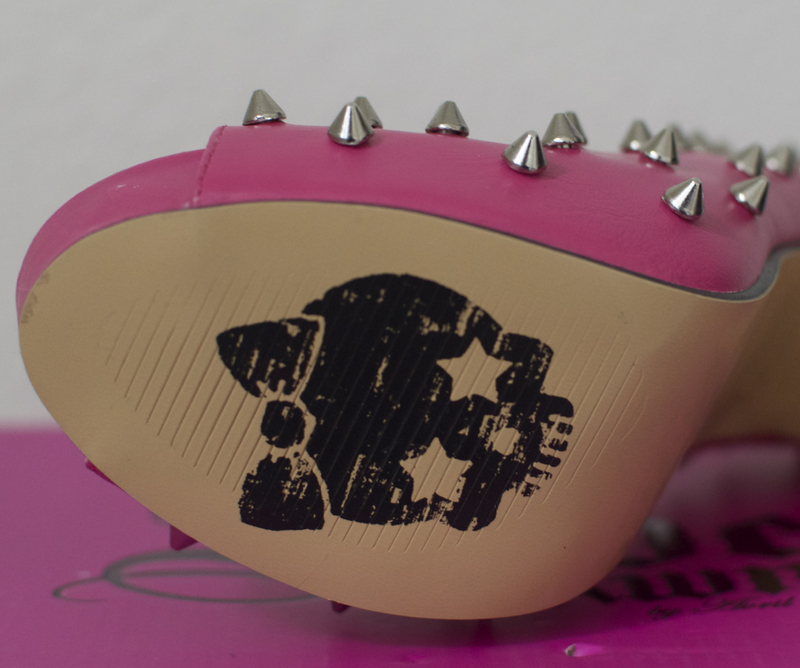 The makers of the Abbey Dawn line are the same as the makers of Iron Fist. If you own anything from Iron Fist, you know they are well made and don’t come cheap. If you have not joined JustFabulous yet, click here and get 50% off your first purchase. The WTH pumps also come in black, leopard, and plaid. I would buy them as soon as you can because their stock seems to be running out fast. JustFab will not restock the line since it is limited edition. Every girl needs a LWD for the summer! I’ve rounded up 5 casual wear-whenever white summer dresses that are stylish yet affordable. It’s hard not to spend more money this month when online clothing stores are having a sale. MakeMeChic is having a warehouse sale right now! Clothes are as low as $8 and Shoes are as low as $5! I see a lot of Spring shoes, head over there now if you want to take advantage of the sale. Happy Shopping! If you have not tried Sole Society yet, I highly recommend them. Their shoes are $49.95 each. That’s $10 more than the other two shoe clubs but their quality is a whole lot better. Shoes from Sole Society are designed by Marco Santi who also designs for BCBG and the Jessica Simpson Collection. If you are familiar with those brands, you know that they retail for $80 upwards. Some of Marco Santi’s shoes are genuine leather and suede but some are not. However, the shoes are really well made and are very comfortable. I am used to buying designer shoes from Vince Camuto, Cynthia Vincent and Charles David and Sole Society’s shoes have that same quality. You really are getting a bargain at $49.95 for great quality shoes. Customer service is very important to me and I can honestly say that the customer service at Sole Society is great. When I have a question about a certain shoe, they are quick to answer or post a picture of that shoe for you on their Facebook page. I’ve had to exchange a shoe before due to a sizing issue and the turn around was fast. Since they got rid of the membership fee, now is a good time to check out their shoes. They came out with a lot of pretty shoes this month that is perfect for Spring! Here’s the list of new designs they came out with this month. Remember that shipping is free both ways so you can exchange the shoe for any reason. You can sign up with Sole Society here and receive 20% off your first purchase! I am lusting over these Sam Edelman Lorissa pumps but the price tag of $200 is too steep for me. I was searching for alternatives and found a cheaper pump made by Vera Wang. Vera Wang’s line for Kohl’s called “Simply Vera” makes great quality shoes. It’s worth checking out if you don’t want to fork out $200 for a pair of pumps. Heels, Boots, and Shoes from Designers Such As Steve Madden and Vince Camuto from Heels.com (Half Off). $25 for $50 worth of shoes! When Mary Kate & Ashley were carrying a studded bottom satchel last year, soon after a lot of celebrities were photographed with the same bag. 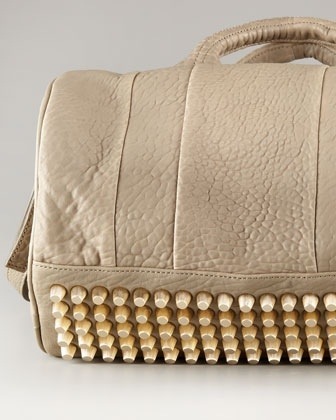 That bag was Alexander Wang’s Rocco and now everyone wanted one but at the price tag of $875, not everyone can afford it. Check below for more affordable dupes. I’m thrilled that Sole Society has a great selection this month. A mix of platform pumps, mid heels, and wedges in colorful and fun spring colors. Check this post for a list of shoes for the month of March.